Hi, my name is Mike and I am a sock snob. I have been on a quest for the perfect sock for many years and I may have finally found it. I didn’t start off being a snob. I grew up with cheap cotton tube socks and thought that they were the only type of sock to wear. When I started hiking I started wearing thick wool socks that required a polypropylene liner. They were warm and cushioned, but shoes had to be bought a half-size large to provide enough space for them. As a result, hiking socks and everyday socks required different shoes and were not interchangeable. Nowadays things are a bit different. In the mid 90’s I was introduced to a new type of Merino wool socks that had just started coming onto the market. New materials, wool processing procedures, and knitting methods had combined to create a new type of hybrid sock that was thinner and lighter than my regular wool socks, but more padded and warmer than my cotton socks. I bought my first pair and thought “oh, my.” I was immediately hooked–an instant snob. The fit, the comfort, the warmth, the softness—it was a revelation! This is what socks were supposed to be like. That brand became my immediate favorite. 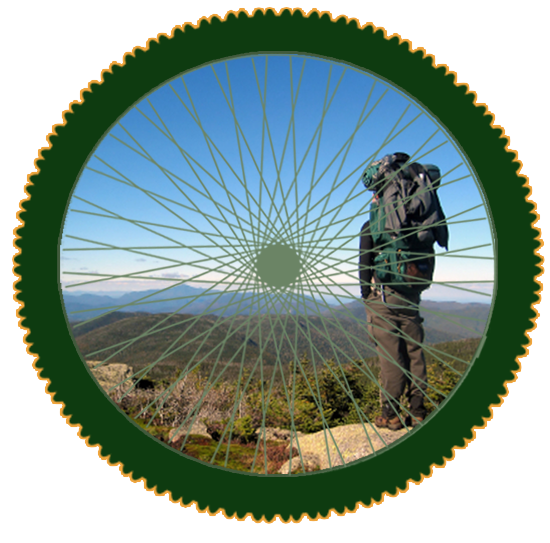 When I opened Mike’s Hike and Bike in 2007, it was one of the first things that I ordered to fill the backpacking side of the store. Within a year, I noticed that they had changed. The quality and fit were just not the same. I was somewhat devastated. Since that time, I have tried almost every brand of sock on the market looking for that cherry high–that “oh, my” feeling as a sock slid onto my foot. I am looking for something that has the best blend of price, material, comfort, durability, and, if possible, U.S. manufacture. 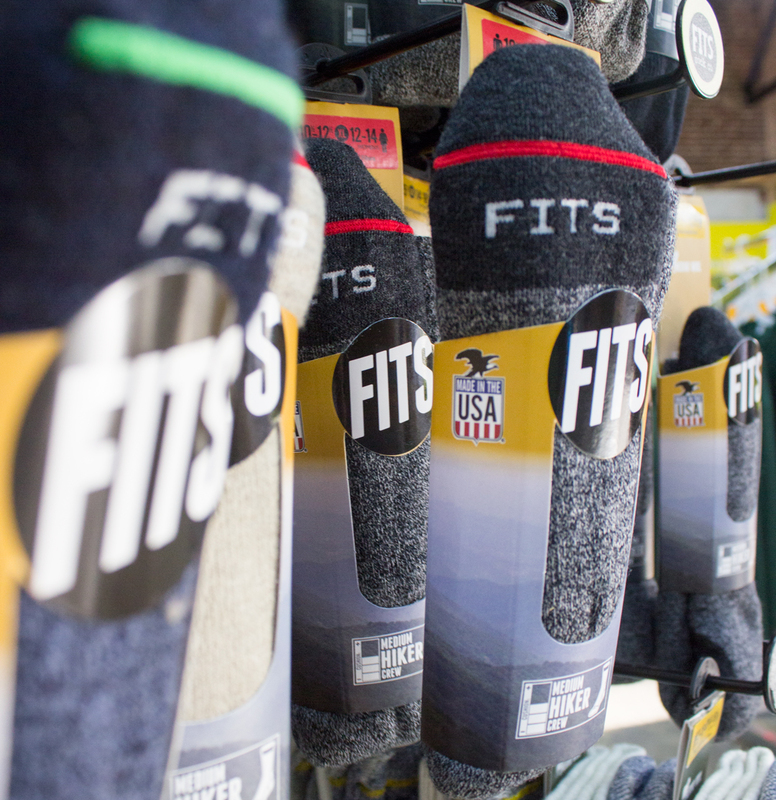 Some socks are durable, some are amazingly comfortable, some are less expensive, and some made of better materials. I think that I have finally found the sock that has all of these. In the little town of Niota, Tennessee lies the oldest hosiery mill in the country. It is a family-owned company called Crescent Sock Co. and they have been in business since 1902. In that time they have made socks for over 30 different brands including my previous favorite (that brand had moved their production overseas in 2005). In that time, they have learned a thing or two (or twenty…) about making foot coverings. I am not really sure if that is how it went down, but the end result is that they did decide to make their own house brand of socks and they called it “Fits.” In so doing they created the best-fitting, most comfortable, relatively affordable sock that I have ever, EVER put on my feet. The durability aspect is an ongoing test, but I have some that are three years old and still fluffy and comfortable. Best of all, it is made in the US of American sourced materials (except for the merino wool which has to come from New Zealand). I could fill another couple of pages explaining the technical aspects that make these the best socks I have ever tried, but, as they say, the proof is in the pudding. Come on down to the store and try on a pair. We will be happy to go over all of the technical stuff from toe to top, but as soon as you have that “oh, my” feeling as it slides over your foot, you won’t care about why it works; you will only know that it does. I own two pairs of Fits, which I bought at your Richmond store before a two-week road trip out west that involved a decent amount of camping in cold weather. They are my favorite of any socks I own! I had forgotten that they’re made in the US, thanks for the reminder.